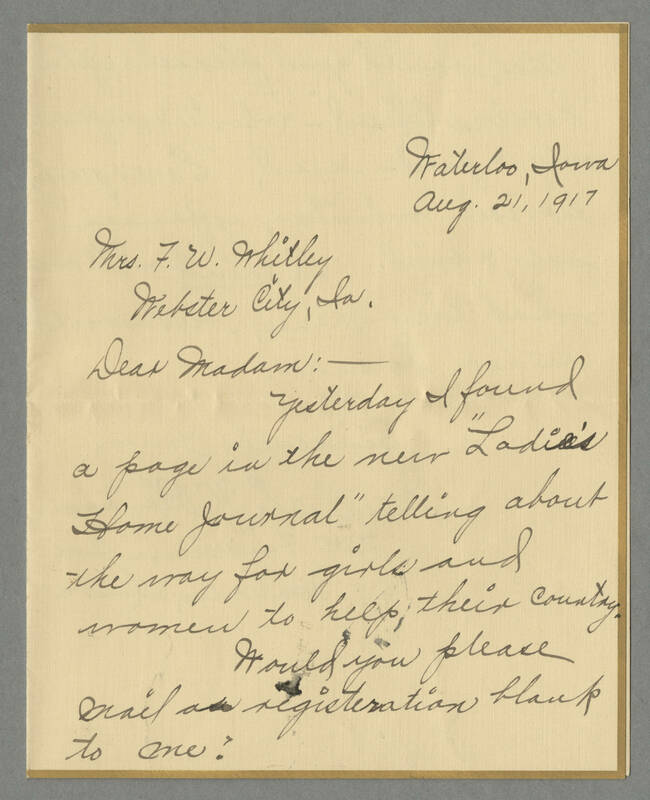 Waterloo, Iowa Aug. 21, 1917 Mrs. F.W. Whitley Webster City, Ia. Dear Madam:- Yesterday I found a page in the new "Ladie's Home Journal" telling about the way for girls and women to help their country. Would you please mail a registration blank to me?